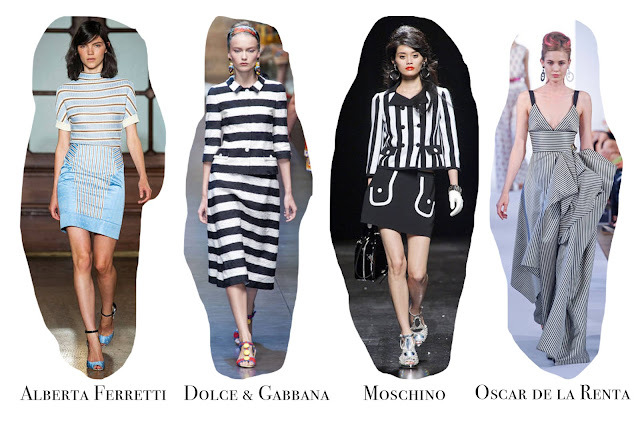 In my opinion the trend that defines spring/summer 2013 is stripes. 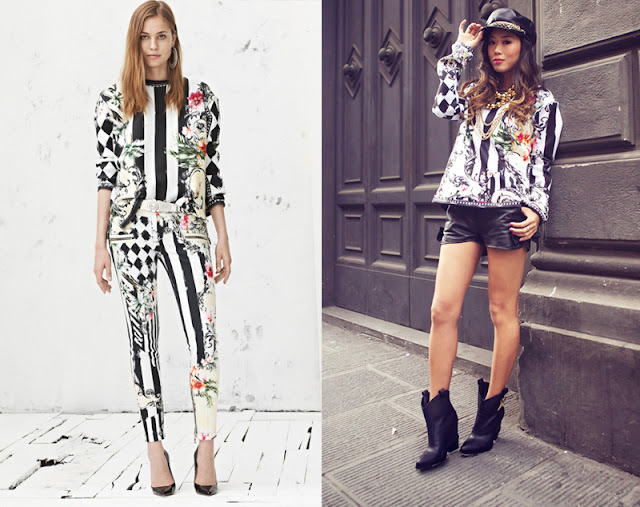 You’ve seen it everywhere, from runways to street style, from high fashion, to casual wear. I’ve been seeing it on every runway, every fashion show, and every magazine. It’s the one thing that kept repeating itself, but in the same way. I haven’t seen two stripes that looked the same. My absolute favorite one was Oscar de la Renta’s breath-taking gown. 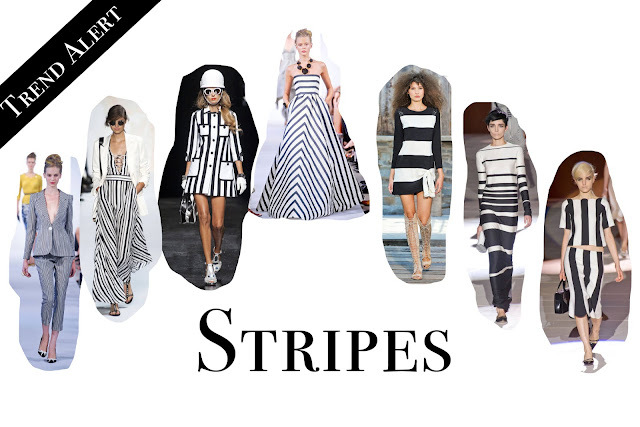 Marc Jacobs also dedicated nearly a whole show to the sacred stripes. 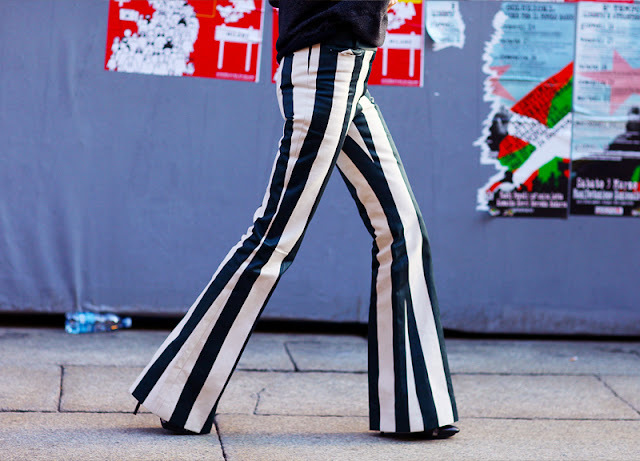 There were thick stripes, thin stripes, horizontal stripes, vertical stripes, metallic stripes, and chevron stripes. Stripes were used in shows from Derek Lam, Acne, Belstaff, Etro, Holly Fulton, Haider Ackermann, J Crew, Issey Miyake, Markus Lupfer, Michael Kors, PPQ, Jonathan Saunders and Rachel Zoe. I’m sure you got my point now, though. 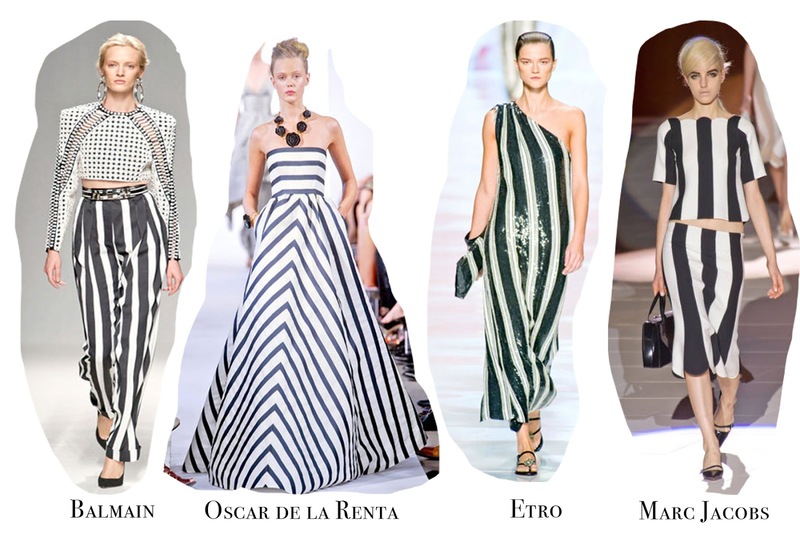 Stripes are huge for Spring/Summer 2013 and pretty much any way you can think of to wear them, you'll be on trend. From ballroom to living room, adopt a stylish stripe and make it your own.